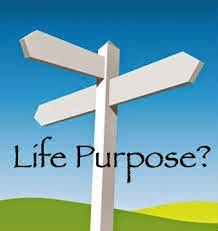 Why is it important to know the purpose of my life? Does it really matter if i have not defined a clear purpose or a strategy in life? Imagine driving a car and approaching a crossing which has four roads going to four different destinations - A, B, C, and D. Most of the traffic is going in the direction of A. What would you do? Which direction will you take? How do you decide the direction you would ultimately take? Most of the times in our lives, we seem to ignore the importance of defining the purpose of life, assuming that this may not necessarily be needed. But remember that going through your life without a defined end purpose is like driving a car and approaching a crossing which has directions towards four different destinations. We do not know which direction we want to take - because we do not where we want to reach. And then the only option that we take is to follow the herd. We go where maximum traffic is going - whether we enjoy that journey or not, whether we ever wanted to reach that destination or not. A clear purpose or mission of life, with a strategy to achieve the purpose will enable easy decision making in life, ease out your competition, and will get you going in your desired direction. Following your mission is living a life full of happiness. Need help in identifying your mission of life?